Volvo is a Swedish automotive manufacturer. The company is into the truck manufacturing business since 1928. The company is the second largest manufacturer of heavy-duty trucks in 2016. 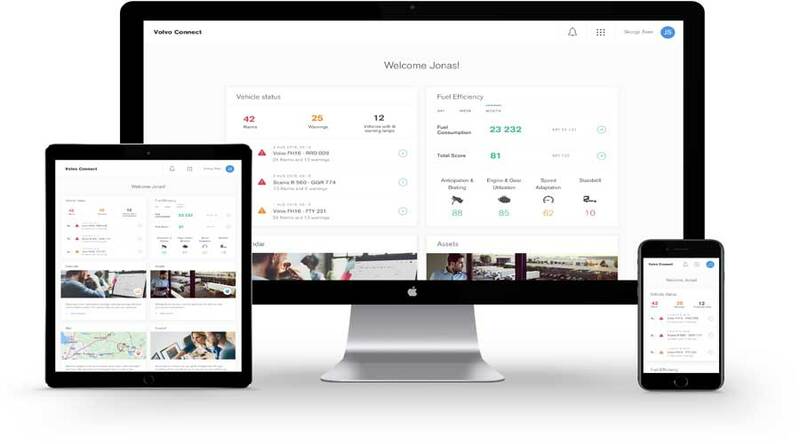 Volvo Connect is a new platform for the transporters and fleet owners alike. The company is not only improving the efficiency in its trucks but also in the transportation business as a whole. Volvo Connect is a new software platform for transporters. The digital services and functions are available on a single portal, maximizing the efficiency on the go. The customers can easily access all the features easily on their smartphone or any computer. The transportation industry and truck owners are now using telematics and digital services to maximize the efficiency. The increase in digitalization increases the number of interfaces. Thus, making it more complicated. Volvo Connect is addressing this problem by providing all the connected and digital services in a single portal. Volvo Connect provides the entire fleet management solution including maintenance, planning and legal compliance. The portal also has an additional marketplace where you can subscribe to additional services and activate it thru' the platform. The users can adapt to the interface. Besides, they can make all necessary information quickly accessible. The Volvo Trucks is also launching the Data Access Service. This service enables access to the vehicle data stored on the cloud. The available data can be easily integrated into the clients existing systems regardless of the model or the make. Hence, the transport operators get all the benefits of managing a mixed fleet. Furthermore, Volvo is also launching the Dynafleet Safety Service. This service helps to track the driving behaviors across the fleet. In addition, the customer can also track the vehicle safety systems and vehicle status. The system also tracks the malfunctions at real time. It can also alert the customer for immediate or scheduled repair. Volvo's new portal will include the above services. Furthermore, services such as Dynafleet and service planning will be integrated into Volvo Connect. In the near future, Volvo will bring the host of other services which help optimize the business. The digital world is changing fast. The way we work is changing dramatically. The Internet is changing the way people live. New services are coming and transportation industry can’t be an exception. Transportation is the backbone of the economy. Thus, adding efficiency to it via digitization is a way forward. In the same context, Volvo is taking steps further in the transportation industry. Connectivity and data analytics solutions bring more transparency and efficiency. Hence, the trucking businesses will increase the productivity over a long term. The transportation Industry still has huge potential. However, it is still in the neglected and unorganized state. Volvo Connect will definitely bring a new change in the Industry. Volvo's portal will merge the connected and digital services into a single portal. The single interface makes information more accessible. The different functions you need to run the business are available on your smartphone wherever you are. Volvo Connect features the following functions. Service planning: You can view the scheduled maintenance and service activities. Data access: The new service where vehicle data can be stored and retrieved as and when needed via the cloud. It works regardless of the vehicles make and model. So, it can be integrated into the customers' system. Dynafleet: Volvo trucks fleet management system. 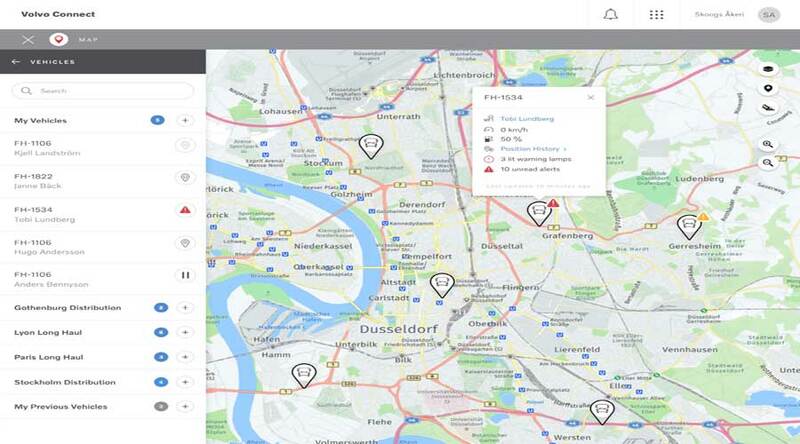 Dynafleet safety service: This new service is useful in tracking the driving behavior of the driver. This includes harsh braking or rash driving which can be then utilized for drivers' training. Vehicle status: This service tracks the vehicle's critical components and sends alerts when it detects the potential malfunction. Asset management: These services help track the assets of a fleet owner including all vehicles in the fleet. Workshop History: This service keeps all the service logs and history of every vehicle in the fleet. It gives an overview of the repair history. In conclusion, Volvo Connect is one stop shop solution for all your fleet management needs. Image and video courtesy: Volvo. Xing mobility: mobilising racing of the future.